"The Danzig Soap Case – Facts and Legends around “Professor Spanner” and the Danzig Anatomic Institute 1944-1945" in German Studies Review, Vol. 29, No. 1 (February 2006). He is a regular contributor to PRO MEMORIA (Oświęcim, Poland), Informationen des Studienkreises Deutscher Widerstand (Frankfurt am Main, Germany), German Studies Review (Carleton College, USA), Yad Vashem Studies (Jerusalem, Israel), Newsletter des Fritz-Bauer-Instituts (Frankfurt am Main, Germany). Guest bloggers' opinions are not necessarily shared by the HC team. Having done research in the soap legend and its role in Holocaust denial, anti-Revisonism, and history politics, I am not surprised neither with the view presented by the IPN at the October 6, 2006, press conference at Gdansk, nor with its spokeswoman’s statement given to western press agencies. The IPN is neither an independent entity, nor is it a scholarly institution. It is a government agency and bound to directives given from above. Its President is chosen and sworn in by the Sejm, Poland’s parliament. One of IPN’s three departments is the Committee for the Investigation of Crimes Against the Polish People. Its members are state prosecutors, not historians. It is the immediate successor of the Main Commission for the Investigation of German Crimes Against the Polish People (founded already in 1944) that made the investigations in the Danzig soap case in the beginning of May, 1945, and it conducted the investigations also this time. After last year’s political landslide which brought a firmly nationalistic coalition to power and made the Prime Minister’s twin brother President, Leon Kieres, head of the IPN from 1999 and a man known for impartiality - he was responsible for the Jedwabne investigations that deeply hurt Poland's nationalist feelings – was fired and replaced by a personality who was better acceptable to the majority in the Sejm. In addition, the IPN obtained from the parliament, as principal task, "To document and to evaluate Poland's human and economic losses due to the German attack and occupation in World War II." IPN had not only been attacked because of the Jedwabne case. (It proved that the perpetrators had been local Poles and not “unidentified Germans”). When it, in September 2005, publicly declared that the Danzig Anatomic Institute was not involved in the Nazi genocidal enterprise, a wave of furious and slanderous attacks swept through the Polish media. IPN was accused of national treachery and “toadying the Germans.” In the anti-German political climate of today’s Poland, IPN had no way out: it must sound the retreat. As all information was only given orally by the IPN spokespersons and media reports differ widely, I will only comment on the intersection of the statements published in the media. First and foremost, IPN confirmed its stance that the activities of the Danzig Anatomic Institute, in no way, did qualify as genocide. IPN further stated that soap was made there from human remains – a fact already admitted at the end of 1945 by Spanner himself – and that there was no “soap factory,” but only a small-scale production for strictly internal use. All this tallies with my own research results. IPN also remarked that the famous “RIF” soap had nothing to do with Danzig and was not made from human fat, an also well-known fact, but it is good to remember the public from time to time of it. There are, however, several points to which I cannot agree. IPN could not present new sources from eyewitnesses. Presenting to a TV audience the soap samples and the professor from the Warsaw Agricultural Academy who had analyzed them, was a good PR gag but did not bring new information. All alleged “new” witnesses were either witnesses from hearsay or had visited the institute months after it had been abandoned by the German scientists at the end of January 1945 and after its devastation, two months later, in the chaotic days of the Battle of Danzig and its immediate aftermath. IPN sweepingly discredited all evidence from the German side as “not trustworthy,” but accepted all incriminating evidence presented already in 1945, as “trustworthy,” without the slightest source criticism. As an historian, I am used to gauge sources critically: to treat every source seriously, but never to take it, from the outset, at face value. And sometimes it is also helpful to use common sense. A second point of my criticism is the heavily biased way the “victims” of the soap-making were presented, particularly in the statement given to the western press: “Human remains have been brought ... from Kaliningrad, Bydgoszcz, and the Stutthof Nazi concentration camp.” As 99.99 per cent of the readers/listeners of this information are not specialized in Holocaust history, they will conclude: Bydgoszcz – Poles, Stutthof – Jews (in Poland: also Poles), Kaliningrad – Russians were boiled to soap. And so it arrived at the public, which can easily be seen by crawling the Web. And that is against the facts which IPN certainly knows. In the period to be considered for the soap-making, i.e. February 1944 to January 1945, for legal and practical reasons, neither corpses from Jews, nor from executed Poles or Russians could have been delivered to the institute. There may have been a few exceptions – even Nazi Germans were not always law-abiding. But all eyewitnesses who testified in 1945/46 confirmed that toward the end of the war, the “material” came from the Conradstein/Kocborowo insane asylum and from the prisons of Danzig/Gdansk, Elbing/Elblag, and Königsberg/Kaliningrad. That means, however, that the dead resp. executed must have been, in their great majority, non-Jewish German citizens. But “Germans” are never mentioned. By the way, I would like to know how the emaciated Stutthof prisoners would have been a suitable “raw material” for soap production. But such contradictions are characteristic for folktales and legends. They never bother neither the narrator, nor the listener. Leon Kieres, head of the IPN from 1999 and a man known for impartiality - he was responsible for the Jedwabne investigations that deeply hurt Poland's nationalist feelings – was fired and replaced by a personality who was better acceptable to the majority in the Sejm. Kieres was not "fired". His term as the head of the IPN ran out and he did not run for re-election. There were controversies surrounding the way his successor has been chosen, but these have more to do with other people than Leon Kieres (for those in the know, I mean Andrzej Przewoznik; those not in the know will be happy staying that way). I am surprised that Mr Neander misstates such a simple fact, which should be relatively easy to check. I also consider his idea that everything that the IPN does is now politically motivated, as dubious. People working in the IPN now are the same people who worked in 2001, when the Jedwabne anniversary was honored. Does Mr Neander imply that the IPN historians (yes, there are professional historians working in the IPN, despite what he says) are prone to fulfill political requests? If so, wouldn't it shed a different light on the Jedwabne investigation carried out by the IPN? You can't consider the same people as objective and independent in one year and as biased and servile a few years later. I trusted IPN w/r to Jedwabne, I trust their independence and sincerity in the Spanner case. I am not a historian, so I cannot comment on Neander's remarks criticizing the IPN on professional terms. This is what he is fully entitled to do, being a historian himself. However, I think his comment would be far better and far more convincing if he restrained from politicizing the issue. Roman, I wish I could agree 100 per cent with your arguments. But as an old man, I'm very skeptical, from decade-long experience. You are right that there are historians in the IPN, e.g. in its History Department, but those who investigated the Spanner case and those who presented the results weren't, the were jurists. I have a lawyer and a prosecutor in my family and had to pass part of my doctoral exam in penal law. I know that a prosecutor looks upon things differently than a historian or a mathematician. There is another _erkenntnisleitendes Interesse_, as Jürgen Habermas would have said. On the other hand: Do you really believe that people in an institution that gets its money and its directives from a political body do act without taking this fact into account? That they do not abide to the guidelines they receive? And have you read one of the slanderous attacks that poured over the IPN and its spokesman M. Schulz, when he, in September 2005, declared that Spanner's activities were NOT genocide? I read hundreds. 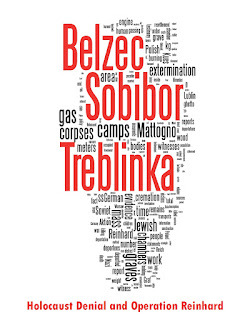 Have you not read the demands from nationalist circles, just after the PiS/LPR victory, that now, finally, time has come to revise the Jedwabne issue "in defense of Poland's good name" and that the IPN must state, once and for all, that the Germans were the perpetrators there and that they had only forced a handful of locals to help them? Knowing these facts, is it too unfounded to be suspicious? As concerns the Kieres case - you are right that he did not run for re-election. But perhaps you know that he was severely attacked in Parliament by the Right already in April 2005 and got notice that he would not be re-elected for a second term. Would you, in a similar case, have run for re-election? But maybe you are right insofar that other reasons may have played a major role in this case. I really would be glad to be able to criticize the results presented by IPN only from a scholarly standpoint. But in today's Poland history politics is on top of the agenda of the ruling powers. Krasnodebski, the chief ideologue of the "Fourth Republic," demands to abandon critical historiography, as a "wrong track," and to return to a historiography that serves first and foremost national interests. And please, don't forget of what the great Russian historian Mikhail Pokrovsky never tired to remain us: that history is always politics made backwards. So I apologize to have introduced the aspects of politics here, but particularly in this case I feel it was necessary. I would like to thank Roman Werpachowski that he draw the attention to the political side of the soap story, since Danzig soap, from the beginning, was a _political_ issue. Let me recall its reception history. In the beginning of May 1945, in the badly devastated premises of the Anatomic Institute of the Danzig Medical Academy, the new Polish owners made a sensational discovery: in one of the rooms there lay pieces of a grayish mass which, as neighbors told, was "soap" made from human fat. The (Polish) Main Commission for the Investigation of German Crimes Against the Polish People, a _political_ body, was called to the place, inspected the premises and interrogated witnesses. The Commission concluded that, at the Institute, under its head, prof. Rudolf Spanner, beginning in February 1944, several dozen kilograms of soap had been produced from human remains. Not a single word of “Jews” (they appeared much later in the literature about Danzig soap), not a single word of a "pilot plant" for the "commercial manufacture" of soap (this was a later interpretation). Some minor errors of fact. E.g. in the number of corpses found, or the alleged SS membership of Spanner. With regard to the Stutthof prisoners, which still today play a paramount role in the reception history of the Danzig soap, even the main witness could only remember that once four or five corpses from this camp arrived at the Institute. (Spanner testified in 1947 that he once received a few corpses of Stutthof prisoners but had refused to further accept them, since the students could not use them “due to the total atrophy of muscular and fatty tissue.”) The witness said that they had been Russians. It was, however, never proven that they arrived in the period of time when the soap was made. From all that we know about Russian concentration camp prisoners, it is also very doubtful if they had enough body fat to be suitable for soap production. I will not criticize the Main Commission here. At Gdansk it had no expert in chemistry or anatomy in its ranks, it worked under an enormous time pressure, and its task was _not_ to do historical research. Its one and only task was a _political_ : to document German crimes (and there were, indeed, quite a lot to document), with the primary aim to find incriminating material, so that perpetrators could be identified as quickly as possible and put to trial. Reading the report given by Commission member Zofia Nalkowska in her short story "Medaliony" with a critical eye and from the point of view of someone who has some basic knowledge of chemistry and of the work done in anatomic institutes of the time, one may conclude: At the Institute, human body parts, limbs and organs, were prepared by maceration - a normal activity of an anatomic institute. In the maceration process used at the Institute, a soapy grease originates as a by-product. This grease, in normal times thrown into the waste basket, can be used for simple cleaning purposes, especially after some refining (yielding the “finished soap” presented at the Nuremberg trial), and it certainly was used for this purpose in the last months of the war within the Institute. Tasteless, without doubt, but never a crime. Even if, in addition, fatty tissue from the dissected corpses were purposely used for soap-making, as the main witness testified - a testimony, however, later questioned by Main Commission member Strabski for technical reasons – it would, juridically, have been a misdemeanor (disturbing the dead’s rest). The Danzig soap case gained momentum when the Soviet NKVD took the matter in hand a few weeks later. In the beginning of July 1945, they presented the main witness to the international press at Gdansk, a few days before the latter’s death in a prison of the Security Forces. The Soviet prosecution team further presented documents about soap-making at Danzig at the Nuremberg trial, making a real show of it, vividly described in Boris Polevoy’s “Nuremberg diaries.” The British, in whose occupation zone Spanner lived (by the way, never hidden and always under his real name) also made investigations, but without public appearance. They came to the conclusion that there was neither a war crime perpetrated nor a crime against humanity. They left the further proceedings against Spanner to the Germans. From the fact that, at that time, Control Council Law no. 10 was in force that allowed German authorities to prosecute only those Nazi crimes that had been perpetrated against German citizens or stateless persons, it follows that the British had ruled out that possible “victims” of Spanner might have been citizens of states that had been on war with Germany, e.g. Poland or the Soviet Union. German authorities investigated in the matter of the Danzig soap in the years 1946-1947. They came to the conclusion that Spanner had not committed a crime, and the Denazification Court declared him “entlastet” (exonerated). These decisions met criticism in the 1990s when the Danzig soap case was brought up in connection with discussions about Holocaust Denial on the Nizkor Web site. The Polish commission that from 2002 has looked into the case again, rejected them as worthless. Critics, however, should keep in mind that in the years concerned the British - in whose occupation zone Spanner was interrogated resp. tried – strictly controlled the German prosecution offices and courts. Western leniency politics toward former Nazis came in a later period of time. Obviously neither in Poland, nor in the Soviet Union the authorities were interested in bringing Spanner to court. They could have asked the British for extradition, and these, without any doubt, would have complied, as they had done in numerous other cases. We do not know why neither the Poles nor the Soviets did so. The simplest explanation would be that they had doubts about Spanner’s guilt, that — for political reasons – they thought it was better to leave the matter in the balance than to risk an acquittal by a court decision. I also wonder, why the main witness’ mother, who had been living all the time together with her son and allegedly did the laundry with the Spanner soap, was never interrogated. In Poland, the Danzig soap remained on the political agenda not least to the fact that, as of about 1946, “Medaliony” have been obligatory reading matter for every Polish schoolchild. Soap made allegedly from concentration camp prisoners is still on display in regional museums (at Stutthof, it went into the magazines at the turn of 2002), and it is a stock phrase in Polish anti-German rhetoric. In August 2003, e.g., Stefan Bratkowski, a renowned columnist, published two articles in Rzeczpospolita, one of Poland’s leading daylies, in which he wondered if Erika Steinbach’s father, as a soldier of the German occupation forces, had guarded transports from Stutthof to Professor Spanner’s soap factory in Danzig, and if little Erika was washed with the soap produced there. Every time when something negative about Germans is published in Polish newspapers or Web news, readers comment with letters or talkbacks reminding the public that these German misdeeds are small wonder taking into account that the Germans once turned Stutthof prisoners into soap. In March 1975, a bronze plate was mounted at the street front of one of the buildings of the Medical Academy. It read: “In this building, in World War II, the German fascists committed a crime against humanity, using the corpses of prisoners of the concentration camp Stutthof as raw material for the production of soap.” The table was stolen in 2005, most probably by scrap thieves, but renewed a year later in marble, a material not attractive to scrap thieves. At the moment it is kept in some safe place, due to renovation of the street front of the building. The plate was a bone of contention for the German minority in Gdansk. Convinced that the text doesn’t say the truth and, what is more, that it is doesn’t help the peaceful living together of the townspeople, they demanded removal. But the city administration refused for general political reasons. So the German minority, in December 2001, asked the Institute of National Remembrance – Commission for the Investigation of Crimes Against the Polish People (this is the full name, see IPN’s Web page www.ipn.gov.pl), short “IPN,” to investigate anew in the matter of the Danzig soap. In January 2002, IPN assigned the task to the Gdansk branch of its Investigation Commission. IPN was established on Dec 18, 1998, as the successor of the Main Commission for the Investigation of German Crimes Against the Polish People that, among others, made the 1945 investigations in the Danzig soap case. Besides the Investigation Commission, the IPN has an archives department and a department of “public education” [sometimes also referred to as the “historical” department]. The head of the Investigation Commission is directly responsible to the Prime Minister, by whom he is appointed and who may recall him at any time. He is also ex officio Deputy Chief State Attorney of Poland. I think it is clear from this that he holds a political position and that his public pronouncements have a political message, regardless of their content and of the intentions that may stay behind the spoken words. Let us also keep in mind that the Investigation Commission is an _investigative_ body. Its findings and conclusions must be taken seriously, but may neither be confused with peer-reviewed scholarly historical work nor with decisions of an independent court, where, in the trial, there is a defense counsel and where witnesses (if available) are cross-examined — a fact that in public perception nearly always is forgotten. I am firmly convinced that IPN’s prosecutors in the “front line” do their best and try to be as objective as possible. That does, however, not exclude that their findings may be published in a biased form. Already in July 2002, shortly after the investigations had started, the leading French newspaper Le Monde quoted the head of IPN’s Investigation Commission with the headline “Soviet and Polish corpses had been made into soap by the Nazis” (Des cadavres soviétiques et polonais transformés en savon par le nazis, Le Monde, 07/03/2002). The article was accompanied by a picture showing young men and women in striped uniforms behind barbed wire with the caption “Children imprisoned in a Nazi concentration camp in Poland” [my translation]. I do not have the original text of the interview. But in this case, it is not relevant. 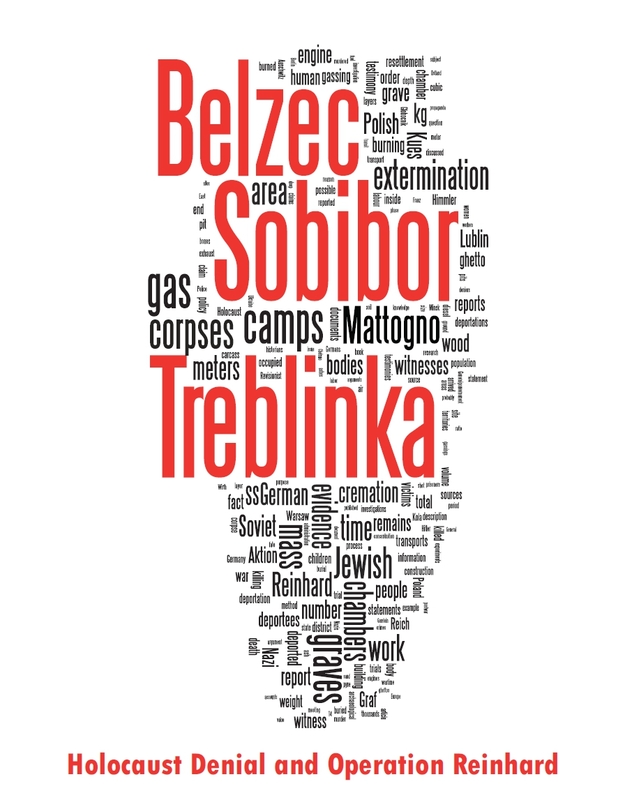 What matters is, how the message arrived at the journalists, and that can be seen from the (above quoted) headline, from the body of the text itself (where “prisoners corpses” are mentioned as the “raw material”), and, before all, from the visualization by the well-known picture, which usually is associated with _Jewish_ victims of the Nazi camps. The reader of Le Monde, if s/he is not an expert, takes as the message: A Polish public institution (“un organisme public”) has proven that, indeed, the Nazis boiled the victims of the Holocaust to soap. I do not blame the journalists. Generally, they don’t know it better. But a university professor of law, who speaks in the name of a government institution, should carefully weigh his words before making public pronouncements that inevitably will lead, in the media, to a distortion of the historically proven facts. As a political person, he should know that “human soap” is an emotionally highly loaded issue. As my long-standing research shows, it has become a metaphor for the Holocaust itself in public perception. This is, in my opinion, also the reason why Holocaust deniers love to take up this issue. They kick the dog and mean the master. In contrary to a widely held opinion among history scholars and anti-“Revisionists,” “Jewish soap” is by far not a fringe topic in the Holocaust discourse. In a forthcoming paper I will show that it is held as “the truth” by the broad public nearly as frequently as the killing of Jews in gas chambers and far more frequently than the plundering of the victims’ gold teeth — both well established historical facts — and that it is ubiquitous in all fields of Holocaust remembrance, in poetry, in the fine and the performing arts, and even in music. The July 2002 pronouncement on the Danzig soap obviously was not a slip. When, on Oct 6, 2006, IPN staged its press and TV conference announcing that now the last word will be said in this case, the same message was sent to the media. And it arrived. Western newspapers (I have only the online versions at hand) reported under headlines such as “Forscher: Körperteile von NS-Opfern zu Seife verarbeitet” [Researcher: Body parts from Nazi victims turned into soap; gmx.net, Oct 7, 2006], illustrated by the well-known picture of the Birkenau camp gate with the railway ramp in the foreground. Or “Holocaust Human Soap Story May be TRUE” (Jewlicious, Oct 11, 2006). Another report showed the main gate of Auschwitz I (“Arbeit macht frei”) as an illustration. Talkbacks read e.g. “Bad days for Holocaust denying creeps” (myrtus.typepad.com), “They turned Jews into soap ... “ (hotair.com), and some did not forget the Muslims: “The Mullahs of Iran are deadly intent on re-enacting a similar episode against the Jews” (www.ynetnews.com). All articles quote the IPN spokesperson as having said that “the Nazi concentration camp of Stutthof” was a source for the corpses from which the soap was made — in any case an at least dubious, with high probability even false statement. And IPN does know this. The Polish public obviously was content to hear that “Nalkowska had written the truth” (Dziennik Baltycki, Oct 6, 2006). They need not change their view. I analyzed 225 talkbacks that arrived in the first 24 hours on the interia.pl Web site. Forty per cent expressed anti-German sentiments in rude hate speech, such as “Only a dead German is a good German.” Only a small minority pleaded for level-headedness or criticized the hate-speech statements. IPN this time got off mildly, mostly with comments such as “Waste of time and money — we already knew it from Nalkowska.” The wave of hatred that had swept over attorney Schulz, who had led the investigations at the “front” in Gdansk in 2005 and, in September 2005 (before the elections) publicly announced that Spanner’s activities had not been genocide and that the soap was only produced on a small, experimental scale, did not recur, although these statements were repeated in passing on Oct 6, however, apparently not in the release for the Western press, because they are not mentioned there. Polish teaching aids for teachers and cheating aids for students (“sciagi”) need not be changed. Spanner may remain “the monster,” the prime example of “the Ugly German,” as he has been presented there. On October 6, before running TV cameras, a professor of law pronounced the verdict “guilty” posthumously on Rudolf Spanner, calling his activities “one of the most sinister chapters of World War II” (Rzeczpospolita Oct 7, 2006). He qualified the statement that they were not genocide by stating that Spanner, however, “could perhaps be accused of removal of the traces of Nazi crimes by destroying the corpses” (Kurier Szczecinski, Oct 12, 2006). Even the greatest war criminals at Nuremberg had defense counsels, and witnesses who appeared in court were cross-examined. Spanner was not granted this minimum requirement of Western legal procedure. Not only those who always believed that the Germans boiled the victims of the Holocaust to soap are happy with the IPN press release. The Holocaust deniers also quickly took up the issue. They can also read news on the Web and in the press, and it doesn’t take deep reasoning to find out the bias and the flaws in the IPN’s conclusions as they are published in the media. IPN kept their favorite “dog” alive for beating instead the “master.” Maybe they will even be glad to read that the miserable soap-making from “Aryan” maceration grease in Spanner’s institute was called, by a professor of law, “pseudo-medical experiments” and compared to undisputed crimes of doctors in white coats committed against Jews — a comparison bordering at trivialization of the Holocaust. Only the German minority in Gdansk will not be happy. Their idea to bring the issue before the IPN turned out to have “made billy-goat the gardener” (den Bock zum Gärtner machen), as a German saying goes. What happened to the fourth comment? we had a troll visit. "Monuments of Soap is an eyewitness documentary filmed in Romania that details one of the Nazi's most horrific atrocities: The manufacture and distribution of soap made from the bodies of innocents-murdered Jews. A moving chronicle written and narrated by survivor Velvel Gutman, this account effectively refutes claims that there was no Holocaust in Romania." Mr. Gutman's film was distributed throughout the Southern California library system. If you have a Los Angeles library card you can check it out. You may even be able to still write or call Velvel Gutman at his home in Hollywood and order your own copy. sounds like Mr Goldman was deranged. The 75-year-old filmmaker educates teens about anti-Semetism. His leather jacket underscoring a full-growth white beard and tzitzit, 75-year-old Lupu Gutman is much like his films, where tradition is refracted through the modernity of the camera lens. Gutman is now distributing copies of his haunting documentary, "Monuments of Soap," to all the branches of the Los Angeles Public Library. The film is a tour through the remnants of post-Holocaust European graveyards, examining the monuments that were erected to mark the burial of the soap that was made of Jewish flesh. Gutman has been making films for almost 50 years, and today, he edits his documentaries in a corner of his one-room Pico-Robertson apartment. Though a veteran filmmaker, documentary cinema is a relatively new venture for him, having begun work in this genre only after he moved to America in 1986. After surviving the Holocaust, Gutman became a star of the Romanian film industry, writing and directing features for the communist government. However, he grew "sick and tired of the stupid and false propaganda" that he was required to create, he told The Journal, and knew that if he remained in Romania, he would not survive. So he came to America, and took advantage of the freedom offered to make cinema véritas, and to use his films to educate and inspire others about Jewish history and traditions. "My target [audience] is teenagers" Gutman says. "I can’t convince anti-Semites not to be anti-Semites — that is stupid. But the kids who go to libraries — they should know." Gutman’s creative efforts are aimed at saving the memory of lost communities. He recently returned from Romania, where he began a project filming the last 74 synagogues remaining in the country. He is looking to raise funds that will enable him to travel to Romania to complete the project, so that the treasures of this once proud and vibrant community will not be lost in the decaying urban sprawl. "In Romania, before the war, there were over 400 synagogues," he explains. "Now there are no more Jews in these places, and they are turning the synagogues into garages. I know how beautiful the synagogues are — and I thought that I needed to capture their image professionally, so that, in a manner of speaking, they can be saved." Gutman, whose apartment holds his small collection of European relics, such as a yellow star, and a piece of Torah scroll parchment that he salvaged after it had been made into a lampshade, is primarily focused on the preservation of the past. "I am not interested in business" he says. "What I have is enough for me." For more information on Lupu Gutman and his films, call (310) 271-6887. To see "Monuments of Soap," contact the history department at your local branch of the Los Angeles Public Library. Lupu Gutman is really a nice person. He sent me two VHS copies of his film. One of them I donated to the Auschwitz-Birkenau State Museum. For me, the most interesting scene of his film is a black-and-white insert showing a soap burial shortly after the end of the war. Regretfully, Gutman gives neither date nor place of the shooting of this historic scene. In all cases shown in Gutman's film, the soap that was ceremonially buried was the RIF soap - normal household soap of mediocre washing properties, which was distributed in wartime in the Greater German Reich and in the General Government. The acronym RIF was an abbreviation for "Reichsstelle für industrielle Fettversorgung" (Reich office for the supply of industrial fats), a state agency that controlled the distribution of fat and fatty acids for non-alimentary use in wartime. The acronym was misread in the ghettos as an abbreviation for "Reines Juden-Fett" (pure Jewish fat), and the number stamped on the soap bar in addition identifying the producer was misinterpreted as the number of a death transport. The RIF soap legend has nothing to do with the Danzig soap story, although both often are confused, by "soap believers" and "Revisionists" alike. Even IPN agrees that RIF soap was NOT made from human fat and, what is more, that the Danzig soap was only used within the Institute. You never actually see a bar of soap buried in Gutman's survivor schmaltz-o-rama. What you see is a Romanian Jewish funeral. Look closely. Who or what they're lowering into the ground is off camera. Gutman visits some cemeteries and reads a couple of gravestone inscriptions that describe the German RIF soap purportedly buried beneath them. He proffers has mistranslation of RIF as proof of Amalek's eternal evil. Amalek is equated with Nazis here. "finished soap." Spanner himself admitted that he had soap made. preparations. Nobody had to be killed especially for that purpose. I am so pleased that we agree on one fact, that Spanner had produced soap from the fat obtained from human corpses. The fact of that such an idea accorded to anyone was for me the most important one. Looking at human being as natural recourse is inexcusable. I wold be so much happier if my investigation would have shown that processing human fat in to a soap was a rumor so that man had not sunk to such a abysmal lows to witch Spanner had sunk. But after obtaining documents from Hamburg with Spanner's own admission to the fact, I did not have doubts any more. The record on soap making from humans by Nazi Doctor must be set strait once and for all. I will do all I can to make that fact known, and I hope that you will do the same. A well known American proverb says: If it walks like a duck and quacks like a duck and looks like a duck, it is a duck. To a simple question: Did Spanner make and then use soap from humans? Did any other scientist in anatomical laboratories world over during the known history produce such a soap and use it for cleaning? Any long winded explanations or comparisons of Spanner to other German or Austrian Nazi doctors does not make sense to me as much as the comparison of apples to oranges would do.. There is not a quantitive scale that can be applied to such a crime. We can no t compare Spanner to Mengele as much as we can not compere Spanner to Hitler. As far as I know, neither Spanner nor Hitler killed any body by their own hands. although I am not so sure if Spanner's urgent correspondence asking for more corpses from Kocborowo did not cause some patients' premature deaths. I would suggest to you to look into it and find the answer to this question, as I respect your scholarly integrity. But, it is somewhat strange that if not for my crew and I first finding and then publishing the Hamburg admissions in 1947 by Spanner to the fact of human soap making , not one scholar had look ed at the papers, but for many years had dismissed the human soap story as a fairy tale. If not the fact that I am in America and theWiesenthal Center got involved in the story and my film, most likely to this day the fact of the human soap would still be considered a WWII hoax. I think that the story of Jews made in to soap in Auschwitz needs to be corrected as much as the story of Spanner's experiments to make and use the soap from human fat..
Perheps I am willing to understand your position as a German, because if Polish doctor would do such a thing as human soap, I might have to try to find all the reasons for excusing him. I was surprised to find part of my private correspondence with Mr. Olbrychowski published by him on the Web without my prior consent. Maybe that's a matter of taste. I don’t know. But it makes me reply to put the record straight. To come back to the Spanner case: IPN in its concluding report clearly stated (BTW, in agreement with the 1946/47 British investigations) that the soap-making at the Danzig Institute was _not_ a crime. What is more, IPN clearly stated that Spanner was not involved in the Nazi genocidal project. If somebody is accused of a crime, and a legal authority that, by no means, can be suspected of being biased in favor of the accused, finds out that no crime was perpetrated, then the accused is not guilty of this crime. Period. Such are the legal and moral standards in western democracies. That distinguishes democratic from totalitarian societies, such as Nazi Germany or Communist Poland, where being accused meant being already guilty. If Mr. Olbrychowski adheres to other standards - as he seemingly does - it is _his_ problem. Let us remind that not everything that somebody considers to be morally reprehensible, is a crime. If it were so, more than half of Poland would sit behind bars. The problem with the Danzig soap story is that, in Poland and in Polish emigrant circles, it is deeply rooted in the collective memory by decade-long indoctrination. Together with other historical myths (of which the Polish master narrative of history is redolent), it has become an article of faith. I’ve been for many years with the German skeptics’ society. The discussions I have today with “soap believers” remind me vividly of previous experiences with creationists and of recent ones with Holocaust deniers. Or taking an example from the history of science: of the struggle between geocentrists and heliocentrists. Geocentrists, indeed, were able to explain the movements of the planets on the sky, but they needed an ever more complex system of assumptions and calculations. Even resorting to strong arguments ad hominem, such as burning Giordano Bruno alive and forcing Galileo Galilei to public revocation, didn’t help them in the end. The “heretic” M. Kopernik’s heliocentric model won through, because it gave a far more simpler explanation of the observed facts, although it, admittedly, hurt deeply held moral and religious feelings of the majority. If, in the Danzig soap case, we separate the wheat from the chaff in the reports of those who were eyewitnesses (including Spanner himself) and apply a little bit of knowledge of chemistry and the way how an anatomic institute works, there doesn’t remain much. Spanner never made “experiments to produce soap from corpses,” as Wikipedia, for example, suggests in its latest issue. From spring 1944, he has made experiments with the chemical maceration of body parts by alkali hydroxides in an aqueous solution, a method that was quite new at that time and by far not tried and tested, but had the important advantage not to destroy cartilage. Everywhere where this method of maceration is applied, the fat content of the body parts react with the alkali hydroxides, yielding soap. Under normal circumstances, it is thrown away together with other preparation waste. In Spanner’s institute, due to the scarcity of detergents at that time, it was collected and used for cleaning purposes within the institute, most probably after some refining. Tasteless, admittedly. But never a crime. Had he thrown it away, nobody would ever have accused him of soap-making from corpses. The fact that the “soap believers” need more and more vague conjectures and dubious insinuations and even must resort to arguments ad hominem to bolster their “crime” hypothesis only shows that they got stuck. I’m sure I won’t convince them with the simple explanation. The “Occam’s Razor” principle is alien to believers. Alas, I also never succeeded in convincing other faithful people: creationists, anti-Semites, or Holocaust deniers. Prof.Neander, I published your answers to my inquiry on your blog, not anyone else's. Also, I feel that we talked about a public matter, not a private one, and I want to belive than neither you nor I said anything that we would not stand by. I also did not publish material from your correspondence regarding Spanner's soap that I felt was more of a personal matter.If you feel that you said something in this correspondence that you do not want publicly known, please recieve my apologies. Let me come back to one of the topics at the beginning of our discussions. I wondered why IPN, after the victory of PiS in the elections for Parliament and President, changed its mind in the Danzig soap case - comparing what its spokesperson had said before the elections with that what another spokesperson said a year later at TV and what IPN said in its official press release, especially that which was meant for Western media. "Asked by 'Trybuna,' how he thinks about IPN, professor Stefan Niesolowski answered that the Institute, during the last year, underwent a process of fundamental degeneration ... According to Niesolowski, IPN was captured by people that are at the politicians' disposition and that use this institution for fighting political opponents of PiS. And it should have been an impartial group of honest historians and public prosecutors. They should have done historical research, but they do it only on a small scale ... In the present form, IPN is an unnessecary and harmful institution, Niesolowski states." sentiments for their political aims.